Wonderful shot of the mallards - which are among the prettiest ducks, in my opinion. 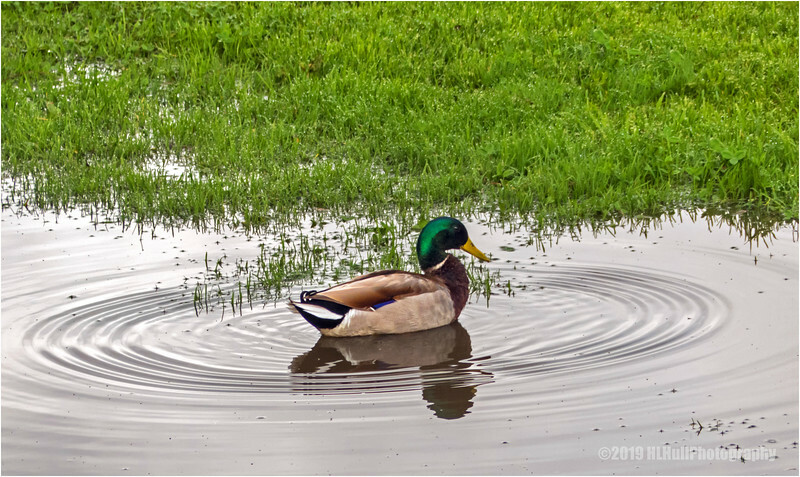 I love the circular water ripple that surrounds the mallard, too! I didn't get to see this one yesterday; I was gone for much of the day. Thanks for your comment yesterday on my daily photo! Like the ripples surrounding the Mallard--it emphasizes him as the subject. Nice shot of this colorful little fellow. Great shot of the male mallard and its bright green head! That's a great shot of the Mallard.